The Sauk County Historical Society will be exhibiting again this year in the Women’s Building at the Badger Steam & Gas Show grounds on Sand Road. This year’s show runs August 17, 18 and 19. 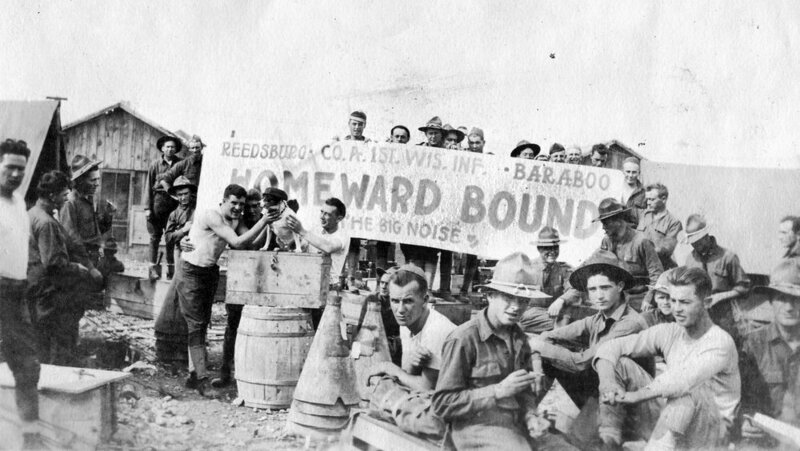 Our exhibit this year will highlight Sauk County’s involvement in World War I.
Sauk County sent about 1,000 men to serve in the great war in Europe. Meanwhile on the home front, everything was not quite so patriotic. Sauk County’s large population of German descent had to come to terms with a war that often involved family members on both sides.